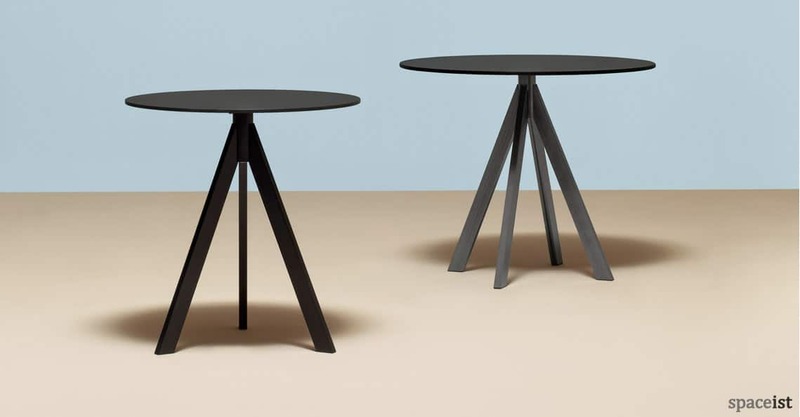 Categories: Round cafe tables, Outdoor cafe tables. 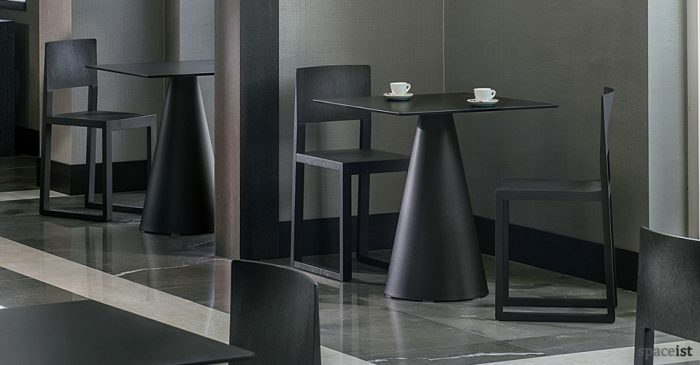 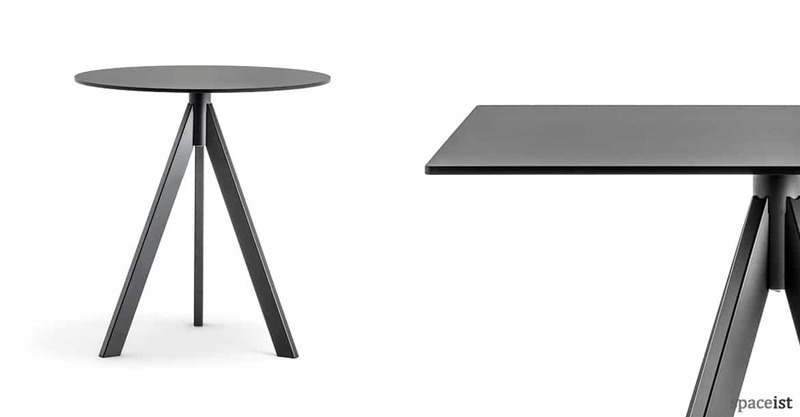 The Ark cafe table joins our wide selection of durable and modern cafe furniture ranges and is the newest addition to the Ark table collection. 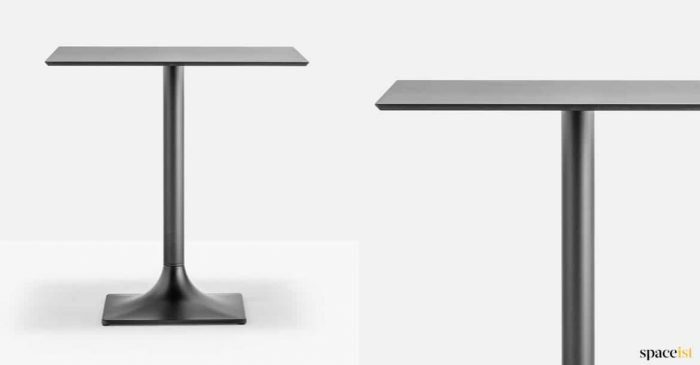 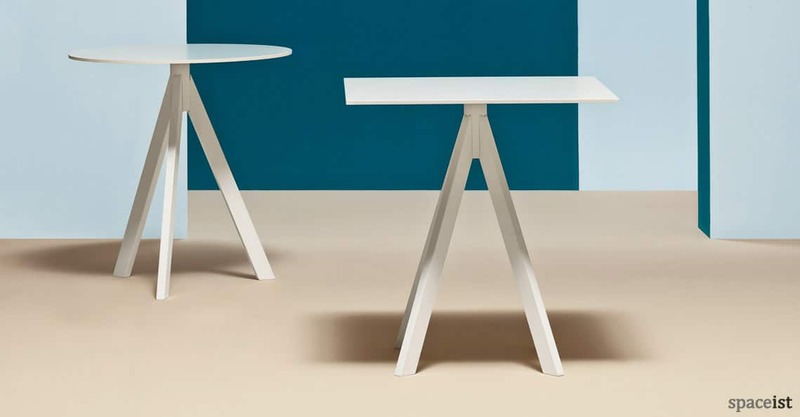 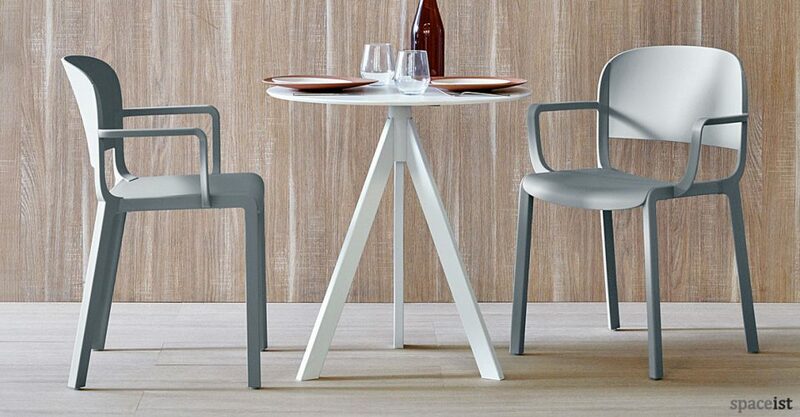 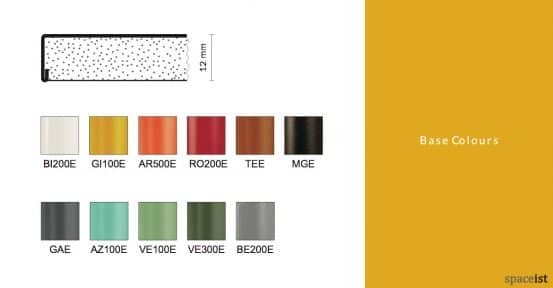 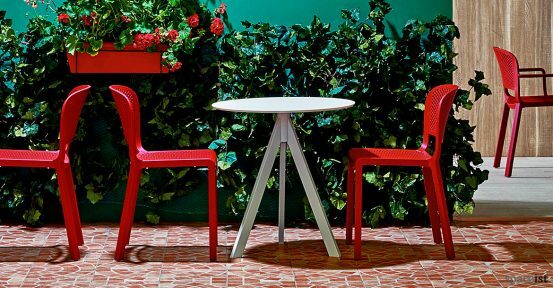 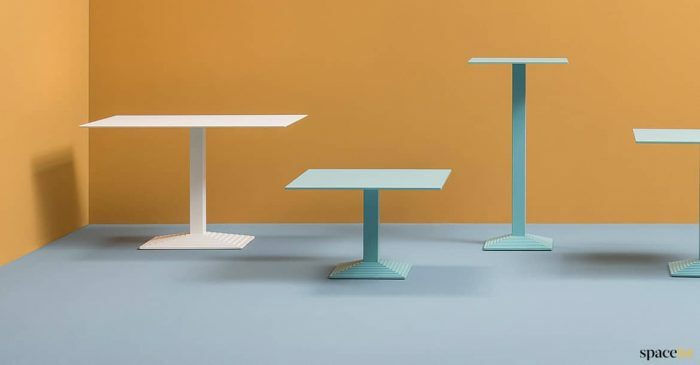 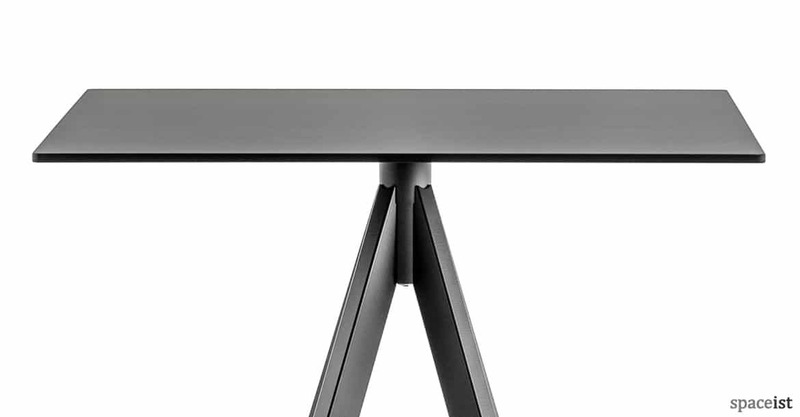 The rectangular shape of the steel legs is inspired by the trestles used by blacksmiths and comes with durable powder coating that is available in four colour finishes. 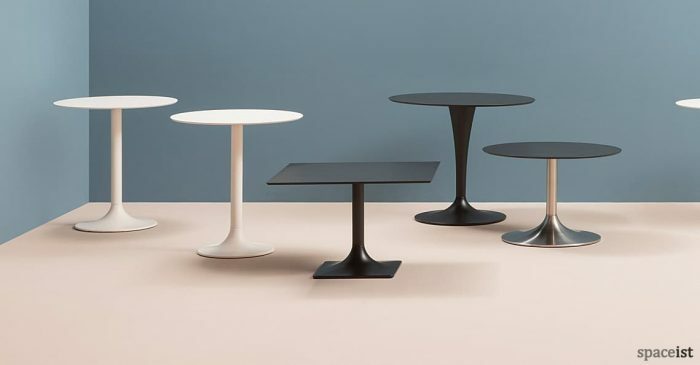 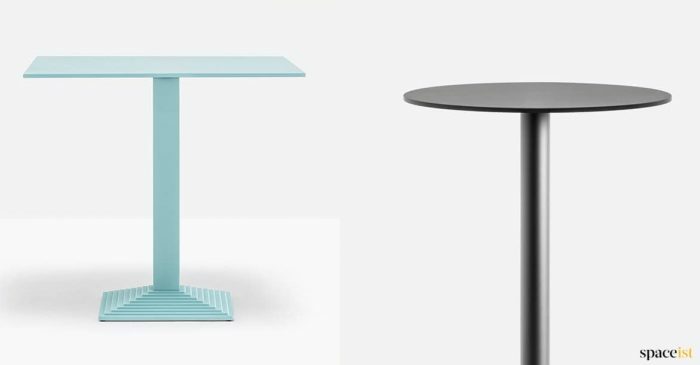 The table top can be specified in up to four sizes from either a round or square configuration and finished in a choice of three laminate colours of three stunning marble top choices including black, white and green. This industrial-style table can also be used outdoors and is an excellent choice for a modern cafe, bar, restaurant, or gallery space and many more.